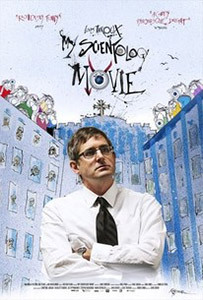 ‘I find that the most inexplicable behavior is motivated by very relatable human impulses,’ comments Louis Theroux as he heads to Los Angeles for his feature documentary, in collaboration with director John Dower and double Academy Award winning producer Simon Chinn, exploring the Church of Scientology. Following a long fascination with the religion and with much experience in dealing with eccentric, unpalatable and unexpected human behavior, the beguilingly unassuming Theroux won’t take no for an answer when his request to enter the Church’s headquarters is turned down. Inspired by the Church’s use of filming techniques, and aided by ex-members of the organization Theroux uses actors to replay some incidents people claim they experienced as members in an attempt to better understand the way it operates. In a bizarre twist, it becomes clear that the Church is also making a film about Louis Theroux. Suffused with a good dose of humor and moments worthy of a Hollywood script, MY SCIENTOLOGY MOVIE is stranger than fiction.